Des Dowling is one of Australia’s most versatile stand up comedy performers. Whether its appearing as a TV presenter, utilising his polished interviewing skills and humor as a corporate MC, or performing a hilarious 30 minute set of stand up comedy, Des delivers a top notch comedy performance every time. 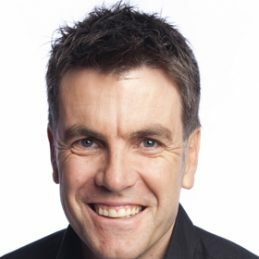 He’s headlined at the top comedy clubs around Australia and his corporate clients include NAB, St George Bank, Devine Holmes, The Master Builders Association, Visy, North Melbourne Football Club and many more. But don’t take our word for it. Take a look at the relevant comedy clips, read the testimonials and decide for yourself. Des Dowling will make your function or comedy night a memorable one.